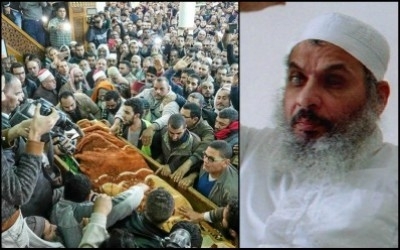 More than 2,000 people attended the funeral of Omar Abdel Rahman after the return of his body to Egypt last month. One of America's oldest Islamist enemies, Omar Abdel Rahman, popularly known as the "Blind Sheikh," died February 18 in a U.S. federal prison after nearly a quarter century behind bars. Though he did incalculable damage to our security during his illustrious career, he also taught us three valuable lessons, even if we're reluctant to fully apply them. First, Abdel Rahman showed us how devastating an impact the arrival of just one unvetted Islamic militant can have. Abdel Rahman was an esteemed scholar of Islamic jurisprudence before becoming spiritual leader of Al-Gama'a al-Islamiyya, a violent offshoot of Egypt's Muslim Brotherhood, during the 1970s. In 1981 he was jailed for issuing a fatwa authorizing the murder of Egyptian President Anwar Sadat. Released three years later, Abdel Rahman played a major role recruiting mujahideen networks fighting the Soviet Union in Afghanistan and has often been credited by Osama bin Laden with inspiring al-Qaeda. Abdel Rahman showed us how devastating the arrival of just one unvetted Islamic militant can be. Despite being on a U.S. terrorism watch list, Abdel Rahman entered the United States in 1990 after obtaining a tourist visa from the U.S. embassy in Sudan. The State Department soon realized the mistake and tried to revoke the visa, but Abdel Rahman successfully fought deportation. Why a known terrorist and sworn enemy of the United States was granted legal resident status is unclear. Some attribute this to a "tragicomedy of errors by American immigration authorities," while others maintain the CIA helped secure his residency status because it thought it could keep an eye on him and obtain useful information. The second lesson Rahman can teach us is about surveillance. After being insufficiently vetted, Abdel Rahman began preaching at three mosques in New York and New Jersey, attracting a growing body of recruits and directing them to plot a spree of terror attacks on New York City landmarks ranging from the United Nations to the Lincoln and Holland tunnels. Abdel Rahman was insufficiently surveilled both before his arrest and after imprisonment. These activities eventually brought Rahman into the FBI's crosshairs (owing to the courageous informant Emad Salem), but not in time to detect and stop the 1993 World Trade Center bombing that left six dead. In October 1995, a federal jury convicted Abdel-Rahman of numerous conspiracy counts pertaining to World Trade Center attack and these foiled plots and sentenced him to life in prison. Having been insufficiently surveilled before his arrest, Abdel Rahman was then insufficiently surveilled after imprisonment. Though the terror mastermind was subject to a Special Administration Measure (SAM) that restricted his contact with the outside world to legal counsel, the FBI did not begin eavesdropping on Abdel Rahman's conversations with his radical leftist lawyer Lynne Stewart and their handpicked translator until 2000, after it came to suspect (correctly) that he was in communication with IG leaders abroad. 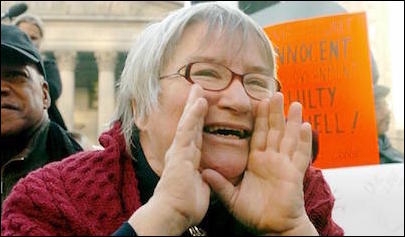 Lynne Stewart, who passed away March 7, left us her own lesson: Never underestimate the willingness of radical leftists to become knowing dupes of religious reactionaries (provided they're Muslim). Through messages passed by Stewart (later convicted for her crimes) to and from IG liaisons, Rahman transmitted directives to and received reports from terror operatives abroad. He reportedly gave the order for a 1997 attack in Luxor, Egypt, that killed 62 people, mostly foreign tourists. The third lesson that Abdel Rahman can teach us is that the criminal justice system is the wrong instrument for handling international terrorist cases, especially those with high-profile defendants. Escaping the death penalty for a lifetime in prison, Abdel Rahman became a powerful symbol and inspiration to Islamists everywhere. Bin Laden issued numerous calls for Muslims to avenge their "sheikh." The criminal justice system is the wrong instrument for handling international terrorist cases. In a 1998 interview from the bowels of his cavern hideaway in Afghanistan, bin Laden held the USA "responsible for its attack on that symbol of Islam, Sheikh Omar Abdel Rahman." Bin Laden's successor, Ayman al-Zawahiri, urged Egyptians to kidnap Americans in order to trade for him. While the debate over Donald Trump's pledge to "keep radical Islamic terrorists the hell out of the United States" rages on, the press, Congress and the American people would do well to remember the life and lessons of Omar Abdel Rahman.